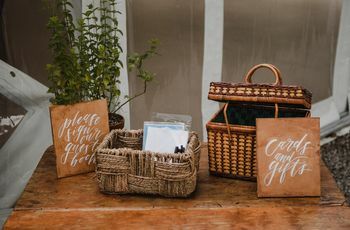 8 Unique Wedding Guest Book Ideas | Wedding Ideas ARE YOU A VENDOR? Want something a bit more interesting than your average wedding guest book? Consider these great alternatives! One thing every reception needs is a wedding guest book. Now, it’s easy enough to pop by your local art store and grab an album for your guests to fill with messages and memories, but why not try something a little bit different? 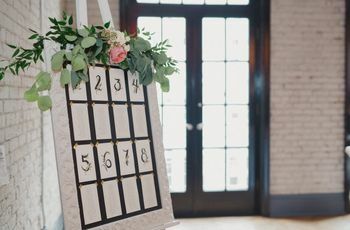 From polaroids to puzzles there are plenty of unique wedding guest book ideas to choose from. 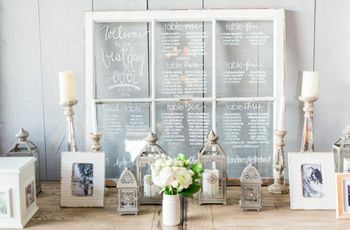 Here are a few unique wedding guest book ideas. 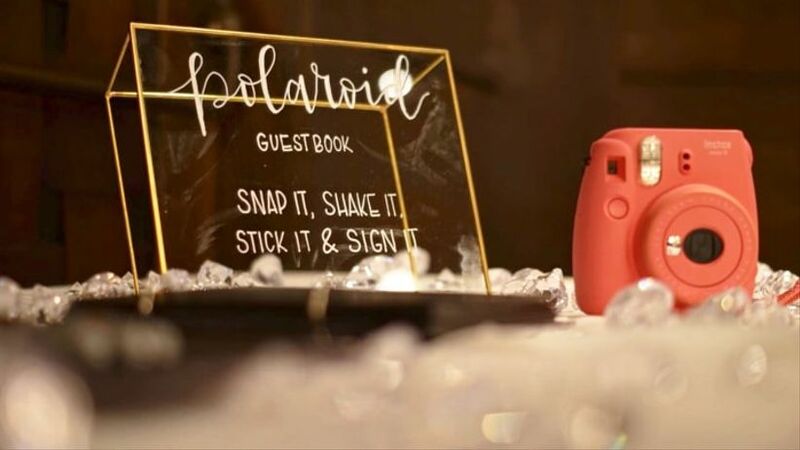 Swap out signatures for snaps by leaving a polaroid camera for your guests to go wild with. 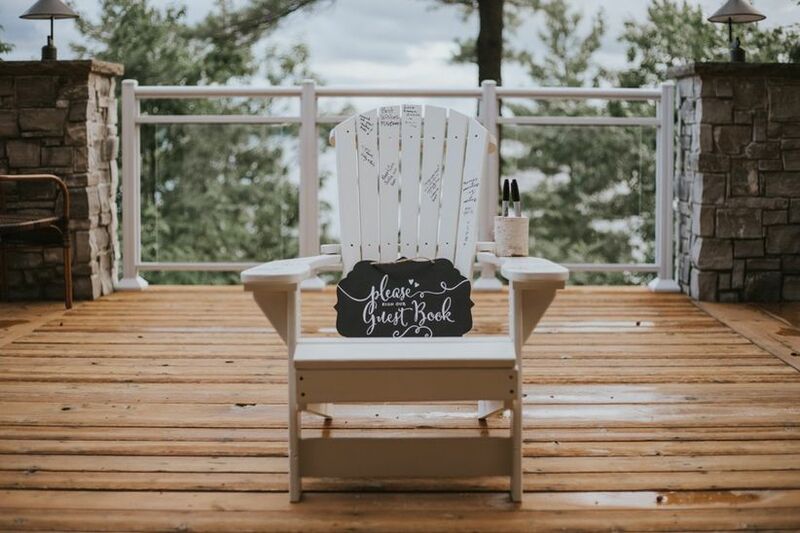 Not only will you be left with some sweet messages, but you’ll also have plenty of awesome photos to add to your wedding album. Are you and your S.O. 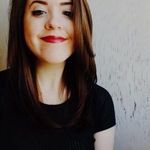 total music junkies? 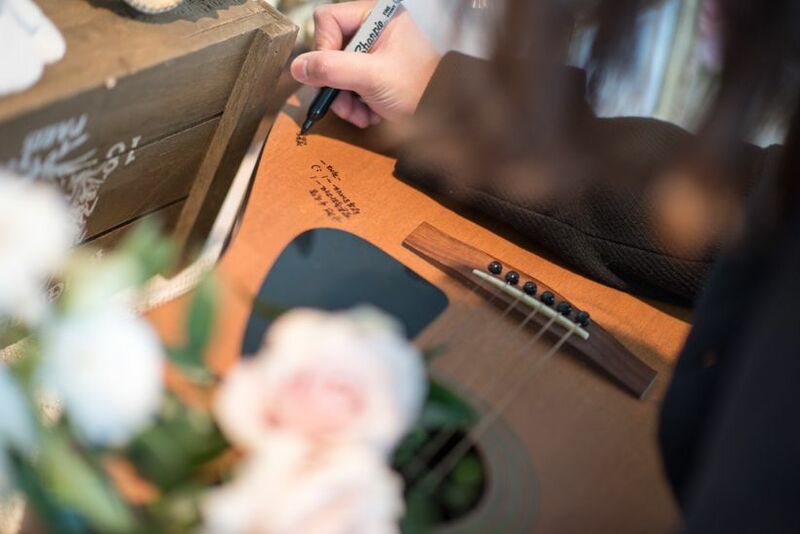 Use a guitar as your wedding guest book! No, you shouldn’t go out and spend hundreds of dollars on a flashy new instrument, but if you’ve retired your old six-string, now’s the time to put it to good use. Hint: if you haven’t got a spare guitar (totally understandable) hit your local second hand shop to see what they have lying around. Mason jars are a rustic chic wedding essential. 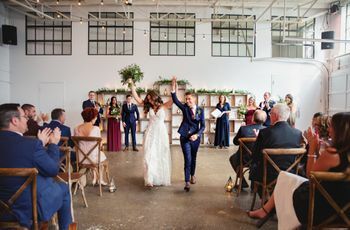 If you’ve already placed an order for dozens to use as glasses, candle holders and centerpiece vessels, stay on theme and use one as your wedding guest book, too. 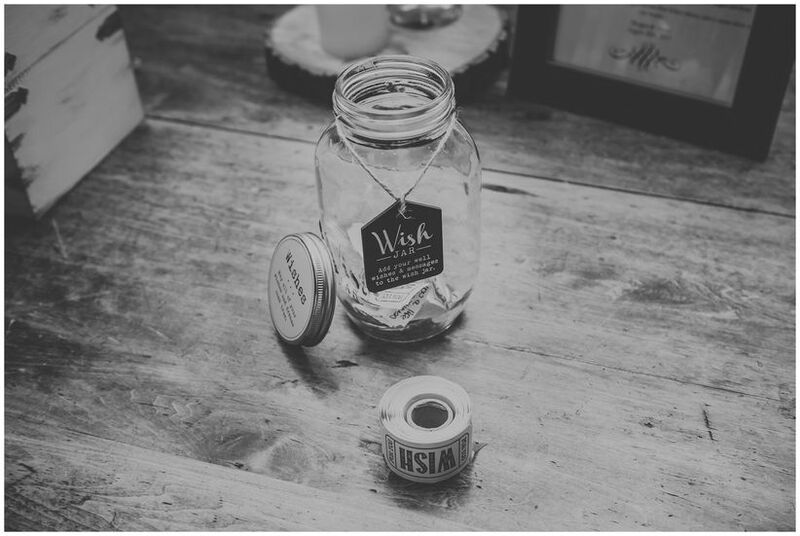 Leave the jar along with some paper or wooden hearts for your guests to pen messages on. Whenever you need a reminder of how awesome your friends and relatives are, dip into it and read a few wishes. 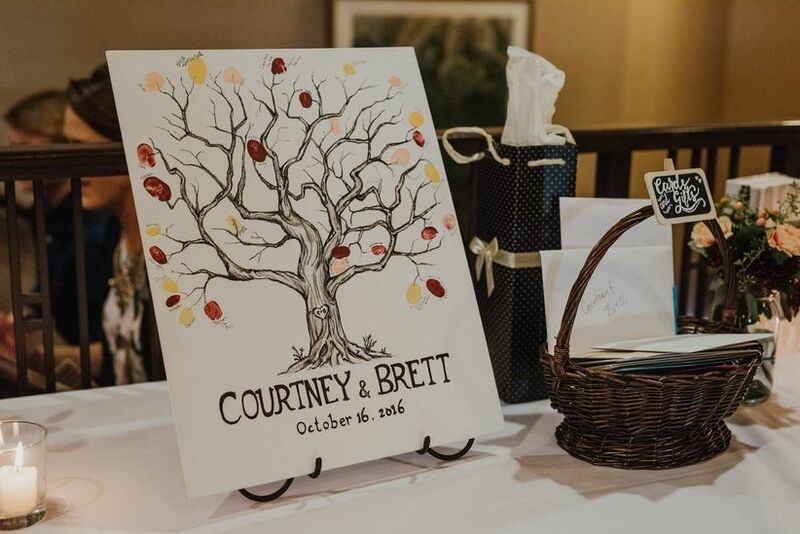 If you’re in the market for some new art, a fingerprint tree is an awesome wedding guest book idea. Instead of leaving signatures or messages, your guests will stamp their fingerprints onto a canvas. Remember to find ink colours that match your walls at home or go with something neutral so that your new masterpiece doesn’t clash with your crib. This is one of the more subtle options that you’ll definitely be able to use as decor. If you don’t like the idea of using your initials you can always go with a design, like a stag head, a heart or something that matches the theme of your home - the world’s your oyster. For duos with a serious case of wanderlust, we suggest going with a globe or map. 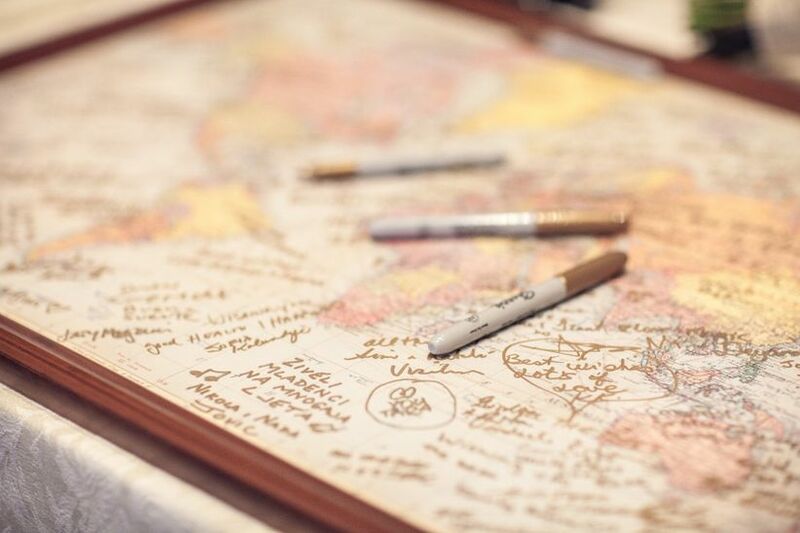 It probably won’t serve its original purpose once your guests have scrawled all over it (good luck finding any capital city), but it’ll be an awesome display piece for your home or office. Jenga can be more than just a game. 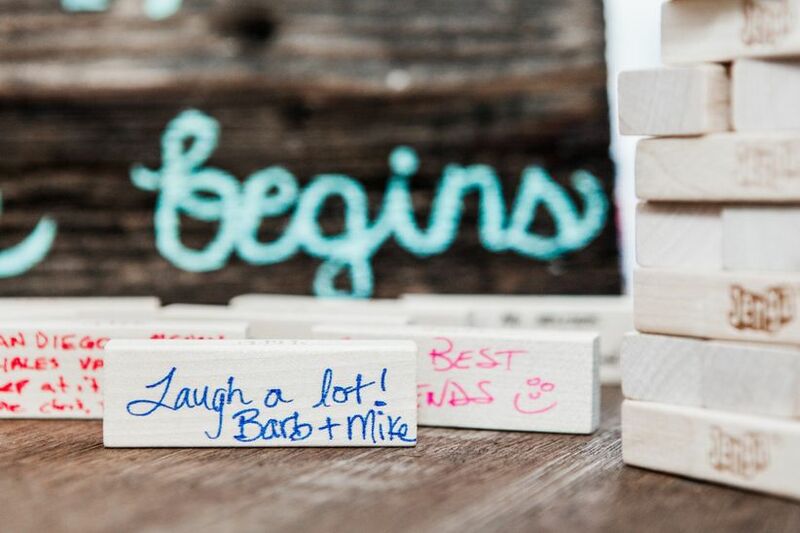 Purchase a set that has blank planks and - boom - you’ve got yourself a fun little wedding guest book idea. Friends and family members will pen messages on each of the pieces, leaving you with a tower filled with love. 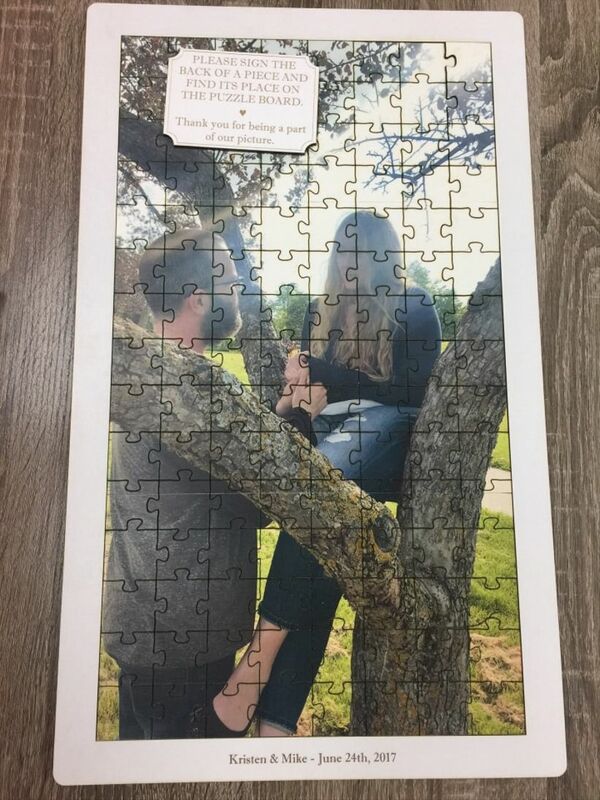 Another game-themed wedding guest book idea is a puzzle. 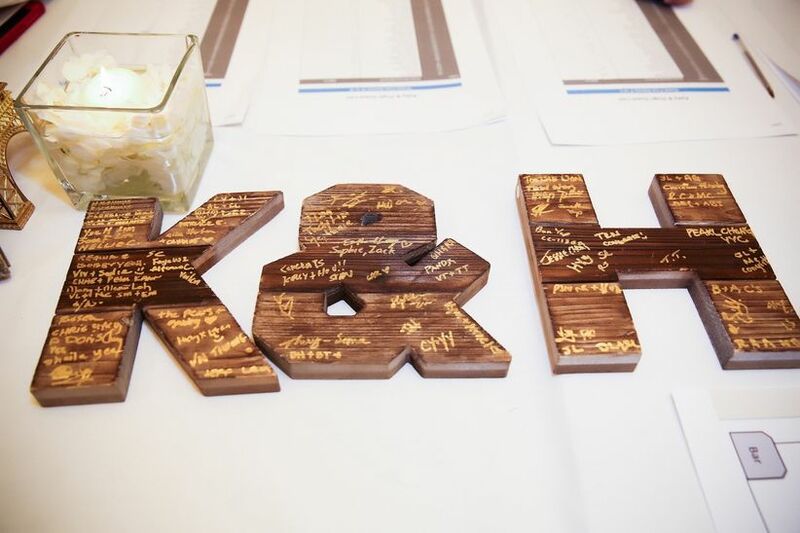 Ask your guests to pen their names and messages on the backs of pieces instead of paper. After your wedding has wrapped, spend an evening with your new spouse putting it all together.